Hunan, China – A team of doctors fashioned a 3D printed titanium skull implant to a baby girl’s skull to reshape it, as it had grown three times its normal size. 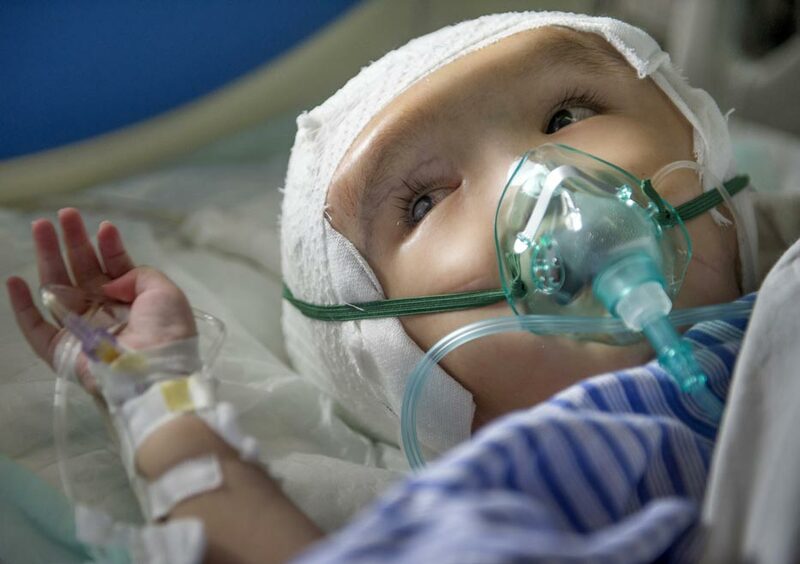 The baby girl named Hanhan was diagnosed with a birth defect known as “hydrocephalus”, which causes abnormal accumulation of cerebrospinal fluid in the brain, applying immense pressure and resulting in excessive brain swelling. Doctors operated Hanhan at the “People’s Hospital of Hunan Province” in China. They explained the significance of implants in these scenarios, and stated how this defect causes brain thinning and stretching eventually leading to childhood development problems, affecting intellect, vision and speech issues. It can even evolve to a stage in which the child could remain bedridden. Dr. Gregory Lakin, Head of Pediatric Plastic Surgery at University Hospitals Rainbow Babies and Children’s Hospital in Cleveland said that the use of 3D implants is required in cases where the bone does not have the strength to endure a lengthy operation. The advantage of 3D implant is its practical manufacturing process that can be adapted to any particular need and do not take long time. According to him, this implant can be used at an early age before the skull develop optimally, mainly at the age of 3 years. It is quite an encouraging fact that the 3D implant does not affect the normal growth of the skull and the human brain so it is very safe to use. However, now doctors are searching for ways to apply this new implant technology to wider patients of hydrocephalus. Furthermore, the operation was successful and Hanhan is expected to recover soon.